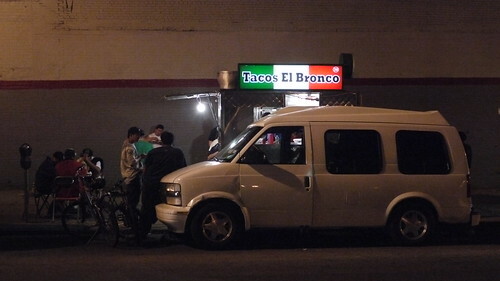 Tacos El Bronco, originally uploaded by iandavid. Thanks to iandavid for uploading this reminder of curbside tacos. totally agree - super tasty. l.a. girlfriend also approves, especially the lengua, and only $1.50 a pop. I think they're open 8pm - 4am.